Mounting the Russian throne in 1825 the new tsar Nikolai I intended to perform sweeping changes in the order of the Empire. Imitating his great antecessor Peter the Great he considered critical to carry out reorganization of the Navy. In addition Nikolai I took a risk to assign the Adjutant General A.S. Menshikov who was far removed from the Navy to the post of the Navy Board. Then who was that man noted such an attention from the new sovereign? 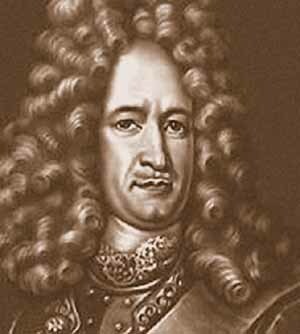 Great grandson of well-known military statesman of Peter the Great times generalissimo A.D. Menshikov. He was raised and educated abroad. He felt at home in several foreign languages. In 1805 upon return to Russia he took service in the Foreign Affairs Board. Four years later Alexander Sergeevich started his military career as podporuchik of guards artillery battalion. Yet in a year he was promoted to aide-de-camp to Commander-In-Chief of the Moldavian Army. While storming Turkish fortress of Turtukai he was wounded in the leg. For courage shown in actions of Danube force crossing he was decorated with the Order of St. Vladimir 4th class. In 1811 he was appointed Flugel Adjutant. He participated in almost all major actions of the Napoleonic War. For gallantry and battle honor he was awarded with the Order of St. Anna and golden sword. In 1816 A.S. Menshikov was awarded with a rank of Major General with the assignment to the Emperor’s retinue and appointment to the position of the General Staff Office Head. Soon on October 6, 1817 being appointed to the grade of Adjutant General of the Emperor he became of Quartermaster-General of the General Staff Office and also participated in several committees including the military one. 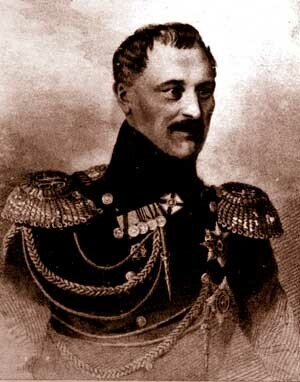 In 1821 Alexander Sergeevich proposed a draft of the Emancipation Edict to Emperor Alexander I. The Emperor who favored Menshikov before considered this “freethinking project” as a riot call and offered him the seat of envoy in Dresden. Menshikov reckoned such an offer as affront and on November 24, 1824 he retired and left for his estate. Upon accession to the throne of Nikolai I Menshikov was summoned to the court again. At first he was seconded to Persia with a diplomatic mission of such a complexity that Menshikov spent some time in a Persian prison but coped with the task ultimately. The mission success brought him reinstatement in a rank of Adjutant General and decoration of the cross with diamonds of the Order of St. Anna 1st class. Then the time came for him to prove himself in the new field namely reorganization of the Navy that was almost in the state of despair. At first A.S. Menshikov assisted Navy Minister A.V. von Moller and later was awarded with the position of the Head of the General Naval Staff. Yet it was preceded by a number of occurrences notable for both Menshikov himself and the Navy. To begin with a committee on naval establishments was set up and Adjutant General knyaz A.S. Menshikov was a supervisor in the committee on behalf of the Emperor. The new institution developed some legal provisions aimed on the enhancements of all the levels of naval administration. In May of the same year the Regulation on Introductory Establishment of Navy Ministry was endorsed. The new ministry replaced the Navy Board. In March 1828 the Navy Staff was founded that in 1831 was renamed in the General Navy Staff. A.S. Menshikov headed the Staff. It was a position of the highest importance as the Head of the Navy Staff reported everything regarding the Navy directly the Emperor, and acted in accordance with Tsar’s orders. Thus A.S. Menshikov became the main person in the Navy. By April 1836 the structure of the General Navy Staff as the main part of the Navy Ministry had settled and comprised Head of the Staff, General Naval Surveyor, Attendant General, Naval Ordnance and Construction Surveyor, Head of Field Office, Squadron Major, Adjutant Generals, Flugel Adjutants and Admirals of Emperor’s retinue. Apart from the position of the General Naval Staff Head A.S. Menshikov occupied the position of the Chairman of the Navy Council empowered with specific authorities. The Council included the departments of Intendancy, Shipbuilding, Ship Timber and Ordnance. All that led to the lowering of Navy Minister’s authority as the Head of the Office and in general Nikolai I was not totally satisfied with von Moller. Soon he was removed at all and the governance fell upon the Head of the General Naval Staff i.e. A.S. Menshikov who was empowered with minister’s authorities. Being a loyal follower of all innovations of Nikolai I A.S. Menshikov Vice-Admiral at that time himself displayed reasonable and long-sighted initiative. For instance he paid a great attention to financial security of naval officers and that was thanks to his initiative the Emperor starting 1834 revised officers’ salaries upwards for three times. Among the capital society knyaz Menshikov had a reputation for self-sufficiency, independency, and decent sense of humor. He was the author of numerous witticisms that would have made a thick joke book together. Apart from that he possessed the best library in Russia that was envied by many well known book collectors. He was even more famed for his personal participations in battles. For instance in 1828 when the war with Turkey started Menshikov already the Head of Navy Staff took a charge of landing troops for the siege of Anapa on the Black Sea coast. For the capture of the enemy fortress he was awarded with the Order of St. George 3rd class and the rank of Vice-Admiral. In June of the same year in the lead of the troops he participated in the siege of Varna. Despite of serious wounds of both legs he stayed at the siege site until the fortress threw out the white flag. For such courage he was decorated with the Order of St. Alexander Nevskiy and received one of the captured Turkish cannons as a gift. When the Crimean War (1854-1856) started Nikolai I appointed A.S. Menshikov (Admiral that time) Commander-in-Chief of the land and naval forces in the Crimea. This period of his live and deeds is considered differently by military historians. For the sake of historical purity it should be noted that combined English-French-Turkish squadron outnumbered the Russian one greatly. That superiority pertained not only to numbers but quality as well because the Allies possessed considerable quantity of steamers as opposed to the Russians mainly equipped with sailing ships. The similar situation could be observed on the land front. The English troops for instance were armed with rifled guns more accurate and firing two times farther in comparison with firelock smooth-bore guns of the Russians. The failures at Alm, Balaklava, and Sevastopol made Nikolai I to question the generalship of his loyal supporter. In February 1855 A.S. Menshikov was removed from all the positions except for the membership in the State Council and reserving a rank of Adjutant General. In September of the same year he was appointed for short period of time to the post of Governor General of Kronstadt and in April 1856 he finally retired. A.S. Menshikov died on April 19, 1869 in the age of 73. The Tsar was pacing just after the catafalque in the funeral train. It should be mentioned that those close to the high and mighties had always been envied and offended by the others and this could be the cause of ambiguous and frequently negative references to A.S. Menshikov’s undoubtedly ingenious personality of his contemporaries and many historians of the later. The understanding of the enigma of this person whose activities were so different and extensive is only possible upon scrutinizing of historical references and poorly studied documents with regard to the epoch in general and A.S. Menshikov in particular. And such references and documents are yet waiting for a serious-minded and comprehensive researcher.